SACRAMENTO — Death, taxes and NBA rookies struggling to make a serious impact. Those are the unavoidables in life. Sure, there are exceptions to that last rule, but the LeBron Jameses and Magic Johnsons of the basketball world are few and far between. So it goes, then, that the Los Angeles Lakers-driven talk about No. 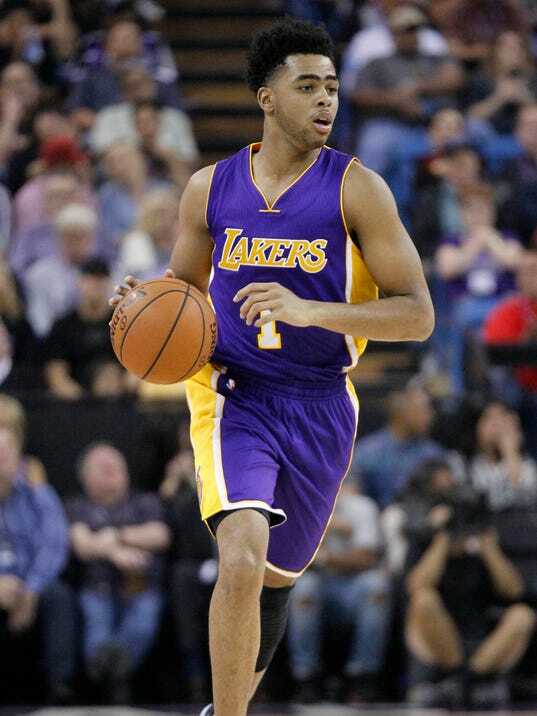 2 pick D’Angelo Russell pushing his new team toward a possible playoff berth should probably cease. His focus should be much more short-sighted: Get better every day. As Russell headed for the team bus late Friday night, the Lakers having been blasted 132-114 by the Sacramento Kings in the second regular season game of his NBA days, I had a chance to get his perspective on the concept of internal expectations and whether they help or hurt. Specifically, Lakers president of basketball operations Jim Buss spoke at length about Russell’s immense importance in a recent interview with USA TODAY Sports.